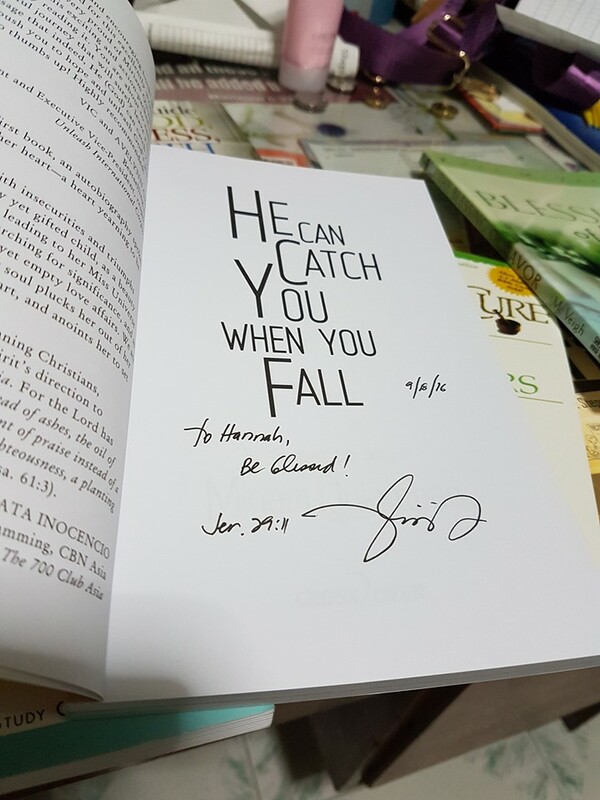 I just finished reading beauty queen turned blogger-evangelist Miriam Quiambao-Roberto’s book “He Can Catch You When You Fall” which I bought recently during the 37th International Book Fair at the SMX Convention Center. 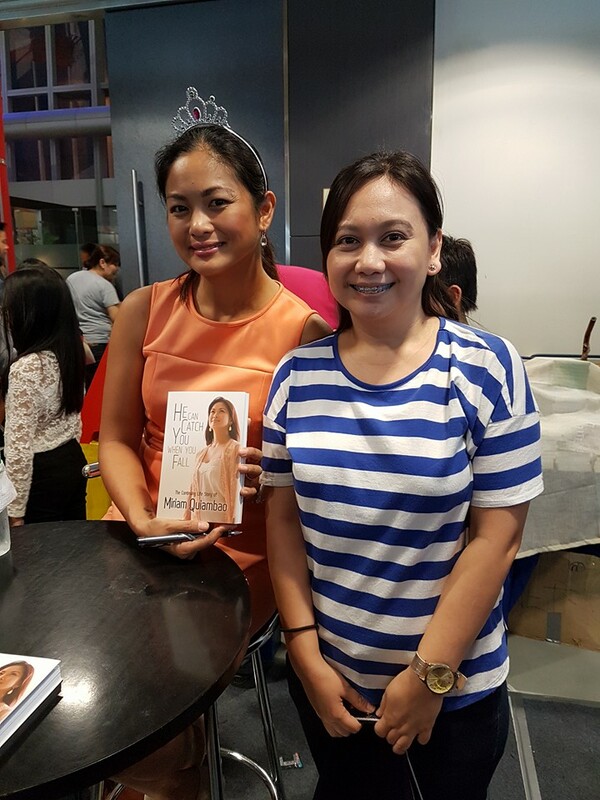 I was fortunate to buy the book for only a P100, plus get it signed by the author itself and have a “selfie” with her. When she signed it, she scribbled Jeremiah 29:11 on the second page. It struck me then that it was my life verse too and I said an excited “Amen” deep in my heart. I was eager to start reading it and proud to say finished it in a week despite a busy schedule. To say that the book is beautiful is an understatement. I was truly captivated to learn about Miriam’s testimony and how God worked (and is continually working) in her life. I felt a pang of envy and I prayed that somehow, someday, I know that God would also lay his best plans for me too. I finished reading the last chapter with tears escaping from my eyes. So engrossed I was with reading the book, I nearly forgot it was my birthday! 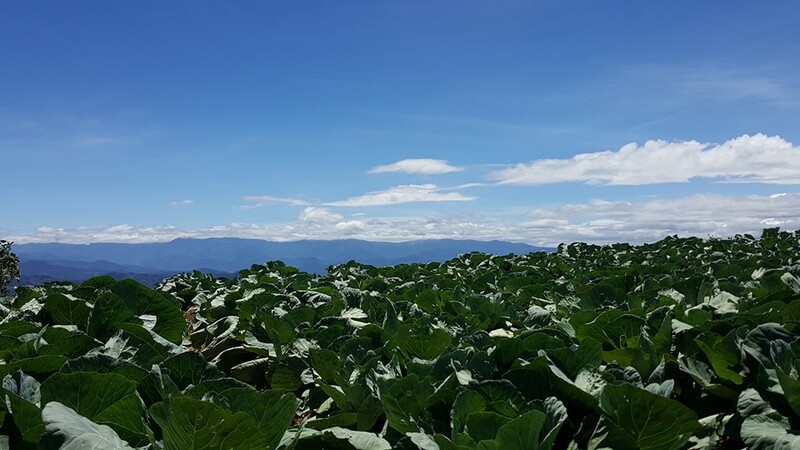 I suppose when you get older (and supposedly wiser) the thought of facing another year embarking on another chapter of uncertainty is somewhat daunting. The years have gone by and I’m still anxious. About two or three years ago, I have fully decided to give my personal calendar to the Lord, and I would just go by where he might lead me. But now, I feel a little bit…lost. I want to get past this feeling of discouragement; I want to feel victorious. But I’ve come to the realization that I’d be a fool to think everything should be easy-peasy for a Christian. It never is and never would be. Yet I know and believe God is a God of second chances—no, multiple chances! And like Miriam, I’d rather put my faith in my Lord and Savior. 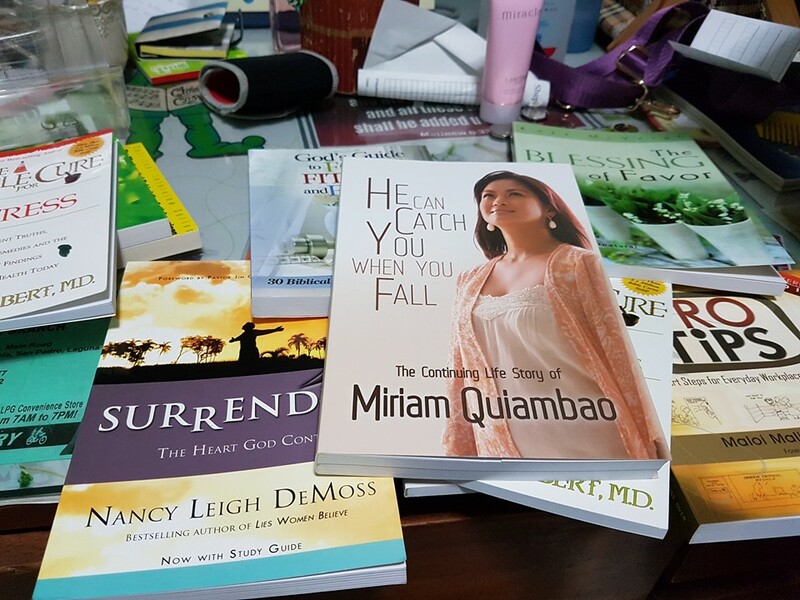 My personal journey may have been a lot different from our beauty queen, but nevertheless, she too experienced the many challenges and pitfalls of success. And I share her view that God can meet us exactly where we are, where we fall and help us to stand up again. There may be times I’d find myself meeting dead ends, or going back to square one, stumbling to a deep pit. But with Jesus, we learn to walk again. And then, I have this rush of excitement in my heart…an adventure is waiting in the horizon. Yes! I’m traveling again! God is indeed good, all the time. I’ll tell you guys about my adventure next month. It is such a wonderful birthday gift from the Lord. Promise, I’ll blog about it next month!